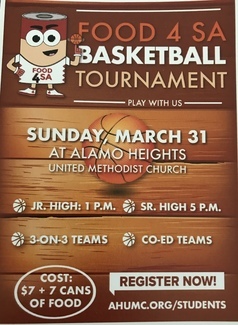 AHUMC Youth is hosting its Annual 3 on 3 Basketball Tournament on Sunday, March 31, 2019, starting at 1PM. We need help to stock the concession stand to help raise money. Please sign up for items and bring by Sunday, March 31st at noon. We also need help working the concession stand. Thank You!